The Chase Freedom Unlimited seems like a fairly pedestrian, no-annual-fee, cash back credit card. Its 1.5% back on all purchases is fine, but nothing groundbreaking. But it instantly gains superpowers when paired with a Chase Sapphire Preferred Card or Chase Sapphire Reserve, transforming into an indispensable way to earn more Ultimate Rewards points on purchases that wouldn’t normally qualify under a bonus category. For a long time, the card has offered a $150 cash back welcome offer (convertible to 15,000 Ultimate Rewards points, worth significantly more than $150 for reasons outlined here), but Chase is changing that up, and for most of new cardholders, it’s probably changing for the better. 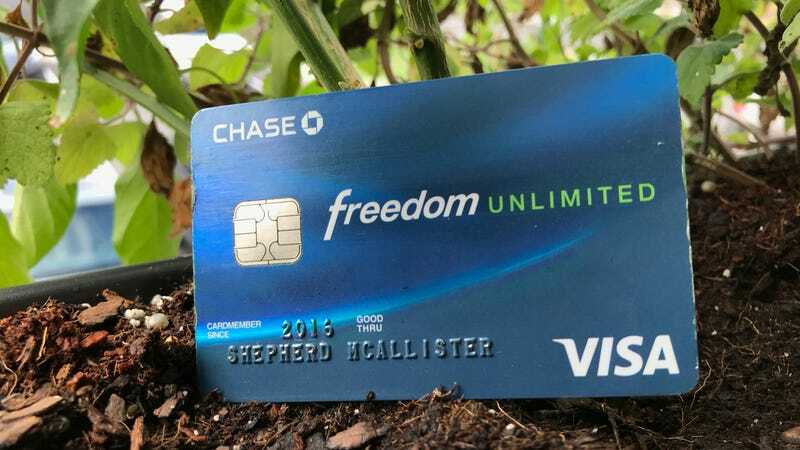 Instead of a one-time welcome bonus, the Freedom Unlimited will now offer 3% cash back for your entire first year with the card, up to $20,000 in spend, after which it’ll revert to its typical 1.5%. That effectively means, when paired with a Sapphire travel rewards card, you can earn three Ultimate Rewards points per dollar on every single thing you buy, for an entire year. That’s a very quick way to save up for your next big vacation. This bonus is more valuable than the old one as long as you put $10,000 on the card in your first year. That would equate to $300 cash back, or 30,000 points, rather than the $150/15,000 you’d get at the standard 1.5% rate, making up for the loss of the initial 15,000 point offer. And if you max out the bonus and spend $20,000, you’ll end up with $600 in cash back, or 60,000 Ultimate Rewards points. I already have a Freedom Unlimited, otherwise, I’d be applying in a heartbeat. Did Michael Jordan Ever Say "Republicans Buy Sneakers, Too"?